Part Two of this oil and gas technology industry overview focuses on digital technology and data management in E&P (exploration & production). There are at least 10 ‘disruptive’ digital technology areas with the potential to transform this important upstream sector. These include: autonomous robots and vehicles; additive manufacturing (3D printing); the internet of things (IoT), including sensors and wearables; virtual and augmented reality (AR); artificial intelligence (AI); and process automation (RPA). At an event hosted by The Geological Society in London, delegates heard about some of the huge strides that have already been made in the industry with regard to these technologies. Peter Parry Partner and Leader, Oil & Gas Division Bain & Co, said, “Sensors now generate massive amounts of data sets, computer power is rapidly increasing and the end-to-end process is becoming more simplified. Drilling is also now more automated as is field surveillance.” Ashok Belani, EVP Technology, Schlumberger noted that the initial processing of seismic data, in particular, is now carried out by machines. 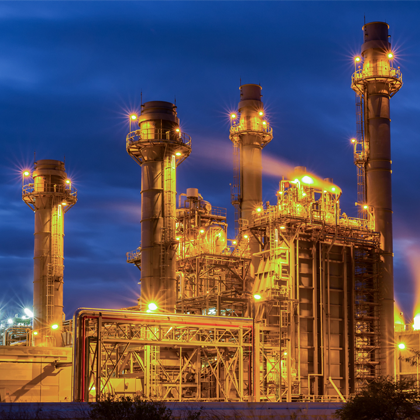 ExxonMobil is introducing digital technology in its maintenance turnarounds when large and complex pieces of plant are shutdown to carry out different maintenance tasks. An example is the use of digital technology at a recent turnaround at its Baton Rouge facility. The company has also trialled the use of ‘fatigue management’ systems for operators of large vehicles at its Canadian oil sands facility. During this process, a computer scans the facial expressions and eye blinks of the operators at the plant. The aim of the trial was assess the feasibility of using these systems to advise the plant managers when fatigue levels among the facility’s operators become dangerously high. Yet despite the difficulties, the accumulation and management of data for use in digital systems is becoming indispensible in the oil and gas industry, particularly at the wells. The E&P sector increasingly relies on the use of Electrical Submersible Pumps (ESP). They are one of the most reliable and efficient ways to lift fluids to the surface, both oil and water, and are generally a low cost solution for high volumes of lifting. However, ESP failures are a common occurrence. Moreover, these failures which can be random in nature frequently result in production disruption amounting to hundreds of millions of barrels of lost or deferred oil production annually. And although important improvements have been made in the last fifteen years on ESP sensors, data collection and communications systems, the industry still lacks a system that can provide ESP health condition monitoring with the capability to accurately predict impending ESP failures. Now, a company Lone Star Analysis of Texas has developed what it describes as a unique approach to predictive analytics on ESPs in wells. The approach is based on ‘snap-on’ models and simplifying data streams. Steve Roemerman, CEO of Lone Star said that ‘snap-on’ models are computer generated for components including electric motors, hydraulic pumps, hydraulic actuators and variable frequency drives. “By combining these models together you can put together a ‘digital twin’, or virtual model for the whole system,” he said. The company was recently asked by an operator of a large amount of ESPs if it could find a way to use digital technology to improve the uptime of its pumps. A key challenge was the big variation in the configurations of the oil company’s ESPs. They were not all running on the same frequency and did not have the same sensors. Lone Star created what it called a ‘cause and affect’ model. Using this model, the well was looked at as a system and it was optimised as such, rather than looking at the ESP as an individual piece of equipment.